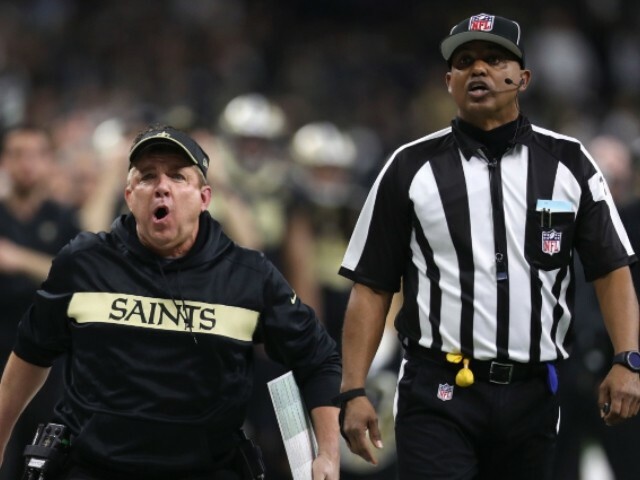 According to reports, the referees who officiated at Sunday’s controversial NFC Championship game between the L.A. Rams and the New Orleans Saints were harassed so much they had to change hotels as a security measure. The refs were reportedly harassed with phone calls as well as in-person visits from unruly fans, according to the Toronto Sun. Witnesses told the paper that at one point six or more security officers in yellow vests began filing into the hotel lobby. The hotel security was joined by members of the security personnel at the game, as well. At least one local police officer also appeared when the decision was made to move the refs to an undisclosed hotel.